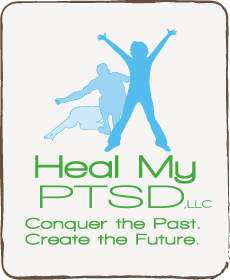 Heal My PTSD was founded in 2009 as an organization whose mission is to advocate for Post-Traumatic Stress Disorder (PTSD) awareness, education, treatment and self-empowered healing support. They are guided by a vision that includes the sponsorship of PTSD awareness campaigns, the development of PTSD educational material, the promotion of PTSD treatment options, and the development of PTSD self-empowered healing methods. A clearinghouse of resources for all segments of the global PTSD community, Heal My PTSD works in partnership with survivors and survivor supporting organizations to spread the word that PTSD is a treatable condition, that survivors themselves must participate and take responsibility for the healing process, and that recovery is possible. As a Certified PTSD Coach and recovered PTSD survivor Michele has put together a program that includes personal one-on-one coaching in a group environment that offers connection and collaboration with others in the PTSD community. If you’re working towards PTSD recovery there is a virtual support group for posttraumatic stress disorder that’s just right for you. Sign up today to receive more information about posttraumatic stress disorder support. 1 – Connection. No one heals in isolation, we heal in community. 2 – Support. When we feel lost it helps to have someone reach out a hand. 3 – Innovation. Stabilization through management techniques and coping skills. 4 – Empowerment. Becoming more assertive, organized and focused. 5 – Proaction. Identifying things to do that will progress recovery.